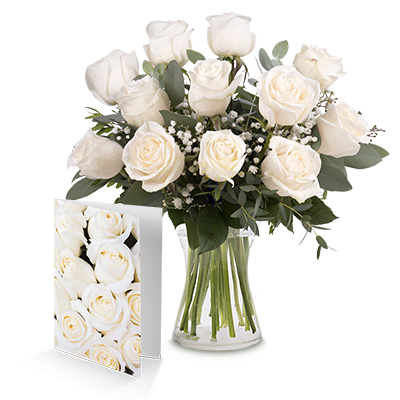 Add some majestic snowflakes to someone’s birthday celebrations at any time of the year with this wonderful mixture of 12 exquisite white roses, paired with lively greenery and combined with an equally sweet greetings card. Make their birthday celebrations all the more spectacular with this beautiful combination and remind them just how beautiful white flowers are all year round. Arrived on time and everything was ok.